Meadowpark Street Surgery is a busy but friendly surgery covering postcodes G31, G32 and G33 in the East End of Glasgow. We aim to treat our patients courteously at all times and expect patients to treat our staff in a similarly respectful way. 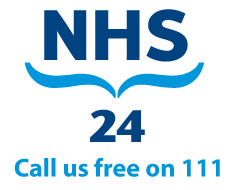 Antenatal, blood tests, child health, chronic diseases, diabetes, flu vaccine, methadone, minor illness, smear tests, smoking, travel, warts and a range of consultant clinics.